Ability Text: Search your library for up to two basic Forest cards. 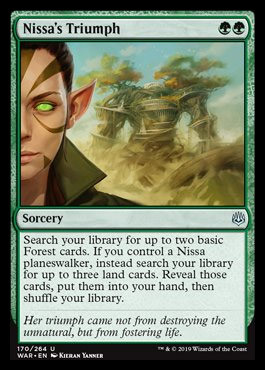 If you control a Nissa planeswalker, instead search your library for up to three land cards. Reveal those cards, then shuffle your library. Flavor Text: Her triumph came not from destroying the unnatural, but from fostering life.